Today started with an introduction to what – I think – could be called vertigo. I’ve never really had it before. I bent down to get my slippers and the world spun around my head. This continued any time I was actually in motion. I should have considered this before I headed off to a new local farmers market that is being held at our showgrounds. The Jiggety Jig market looked so interesting too! I left my walking stick in the car so my hands would be free for photography and then wobbled in unaided…. That was a mistake. Every time I turned my head to look at something the world spun, every step I took the world got spinnier. I left unsteadily, vowing to return at its next iteration. Thankfully, it wasn’t a problem when I was behind the wheel. Phew. Anyway after much dilly-dallying, which included the regular cat-claw-trimming and fish-feeding ritual, The Boy finally left for his camping trip sometime around 15:30. Ahem. So I got to do some food prep. I sat perfectly still and cubed one of those packages of chuck steak that I showed you all yesterday. 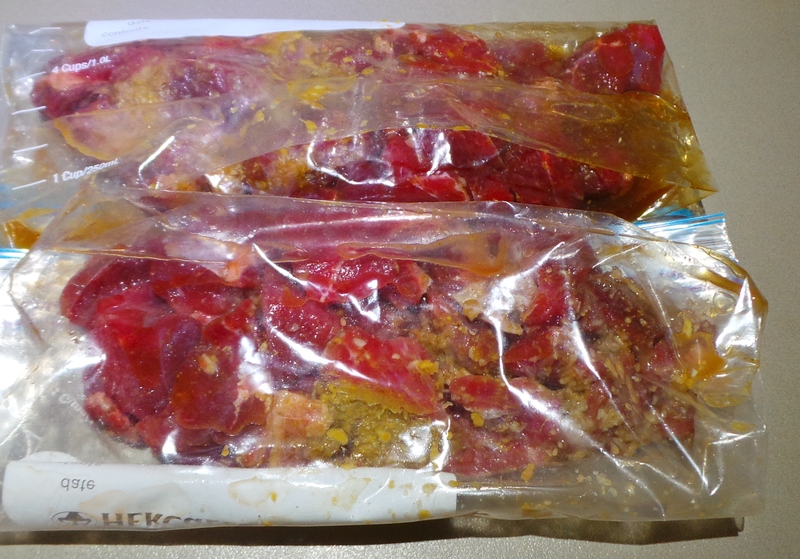 It was then divided into zip lock bags, introduced to spices and sauces and popped into the freezer for ‘slow-cooker meals without thinking’ in the future. 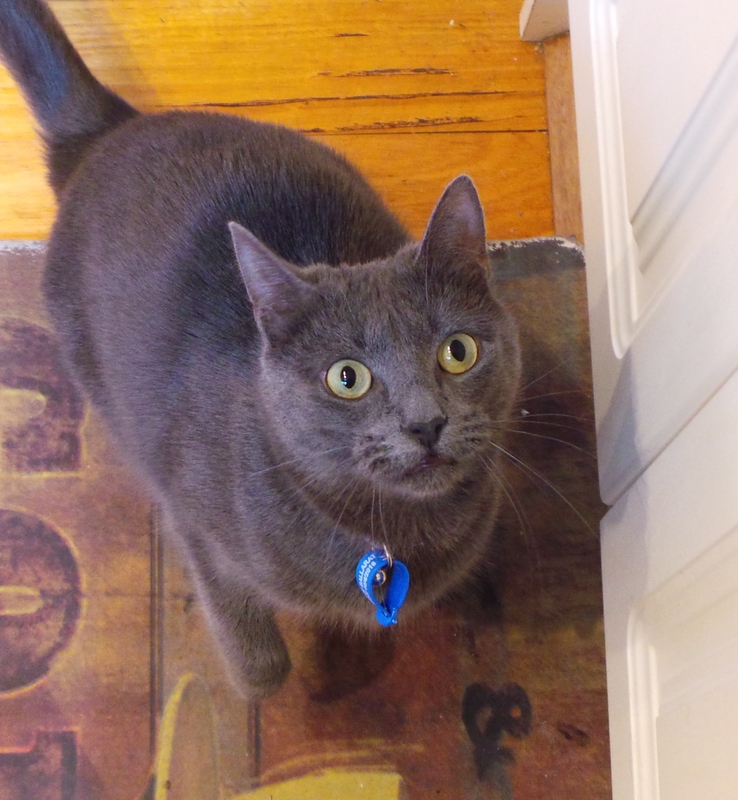 All to the accompaniment of the Accidental Cat, who woke up from her fish coma, discovered that The Boy was gone, and started calling for him. FIVE AND A HALF HOURS AGO! 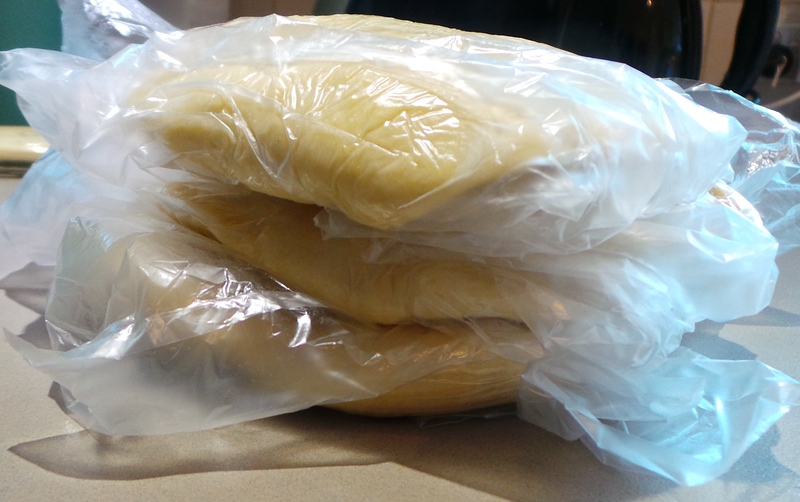 I then made up some dough for pizza bases, got it portioned up and in bags for freezing. I freeze it before it rises/proves. I find that, if I get it out of the freezer the day before I want to use it, it thaws and starts to rise in the refrigerator. Then all I need to do is ask The Boy to roll it out and get it in the pizza tray for me. See what I did there? Very good. 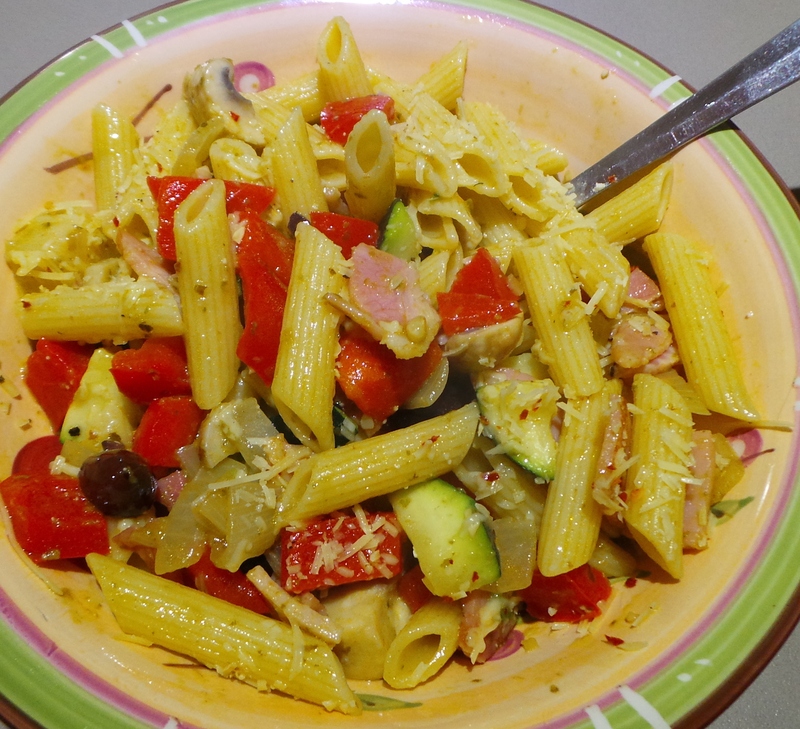 The evening was upon me by this stage so Pasta à la Sharon was made with enough leftover for dinner tomorrow too. Tomorrow, I shall process that rather large package of bacon, hopefully bake some biscuits/cookies and get to our plot at the Community Garden. Assuming I get any sleep tonight – which assumes that Sara, The Accidental Cat, stops calling out for The Boy anytime soon. At least the world has stopped spinning. Thanks for your concern. There’s no sign of an infection, thankfully. I suspect it’s just the MS throwing another little Easter egg into the mix. My balance over all is pretty ordinary at the moment – I see much physiotherapy ahead of me.